Ecosphere+ is at the heart of finding ways to ensure the carbon-reducing service performed by rainforests is reflected in their true social and economic value, and factored into the climate transition strategies of governments and businesses around the world. We have a range of solutions on offer and work in partnership with a number of companies in different sectors and different geographies around the world. We bring to market a portfolio of activities that protect and enhance tropical forests and critical natural ecosystems around the world. Our portfolio is delivering material, global-scale carbon mitigation through cost-effective CO2 absorption and storage as well as measurable economic, social and environmental benefits to communities on the ground. Forests are vital to the carbon budget and their role is recognised by scientists and policy-makers alike. 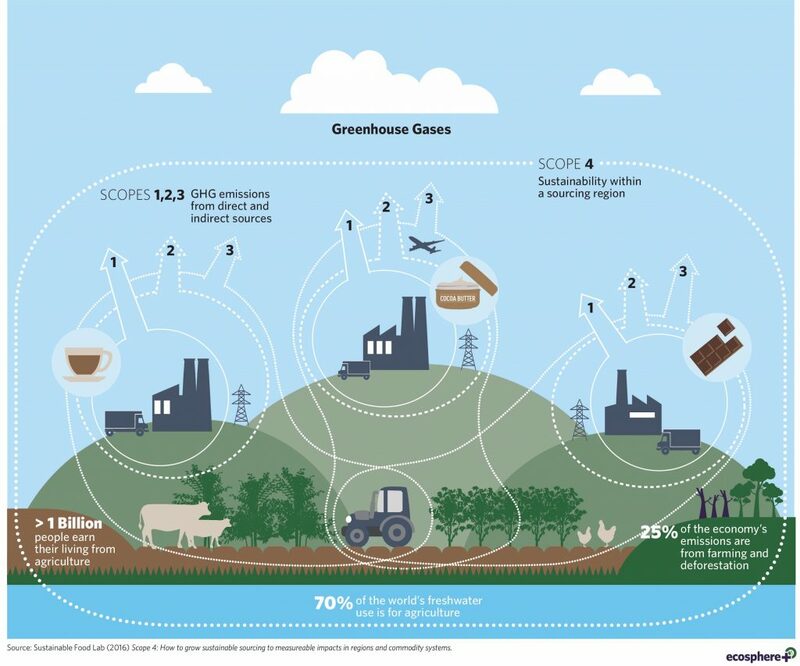 The land-use sector is the only sector that can go from being a net emitter to actually providing negative emissions, and the share of the solution it can provide before 2020 is closer to 50%. 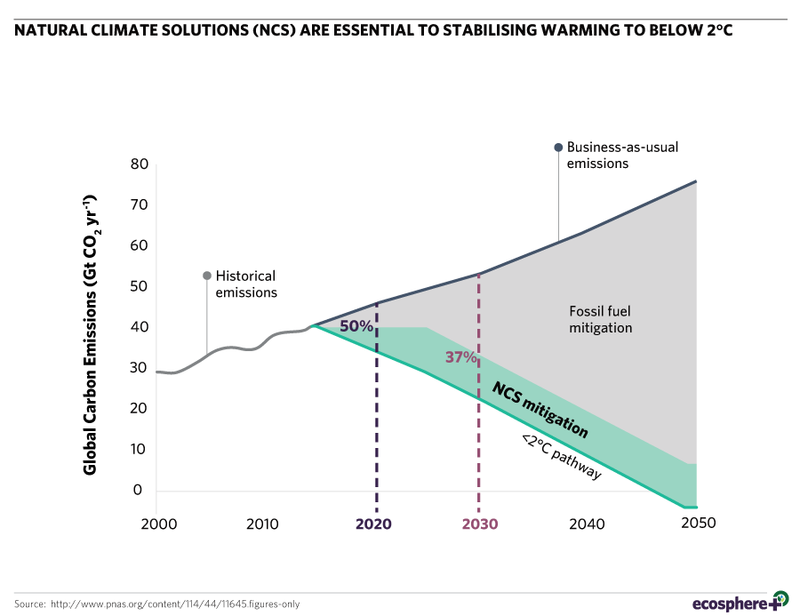 Despite their potential to deliver 37% of all the emissions cuts needed by 2030, natural climate solutions have not received a share of climate finance to reflect this. Forests have been systematically undervalued in our global economy. This situation is not helped by the fact that carbon markets or a strong carbon price signal has not developed to allow the private sector to play a more active role in financing or integrate them easily into their business models. Avoiding deforestation is the oldest negative emissions technology in the world and the most cost-effective way of capturing and safely storing carbon with nearly 2 gigatonnes of potential at less than $10 per tonne, equivalent to taking more than 600 million cars off the road annually. We have one of the largest portfolios of forest carbon projects in the world. We have a host of solutions for helping you address your sustainability goals. Scroll down for our business solutions. 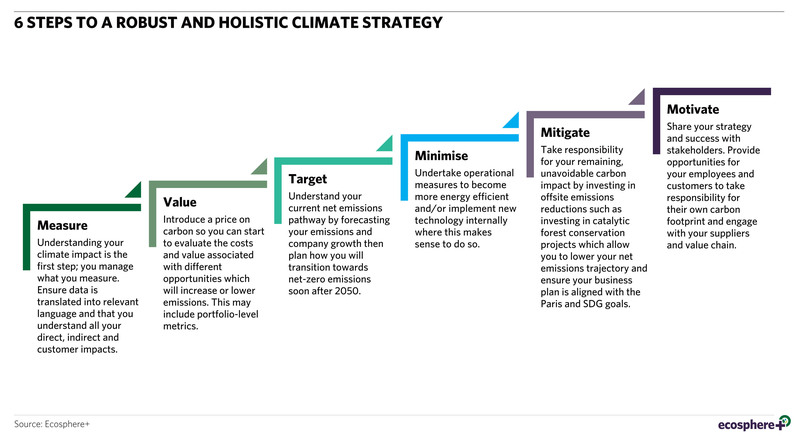 We are building coalitions to encourage corporates to unite to deliver cost-effective lower net-emissions trajectories, collectively manage risks and amplify their impact. In July 2017, Ecosphere+ helped to launch the REDD+ Business Initiative, an initiative where member companies are shaping effective business-led solutions which demonstrate that companies are critical partners in the fight against deforestation and climate change. 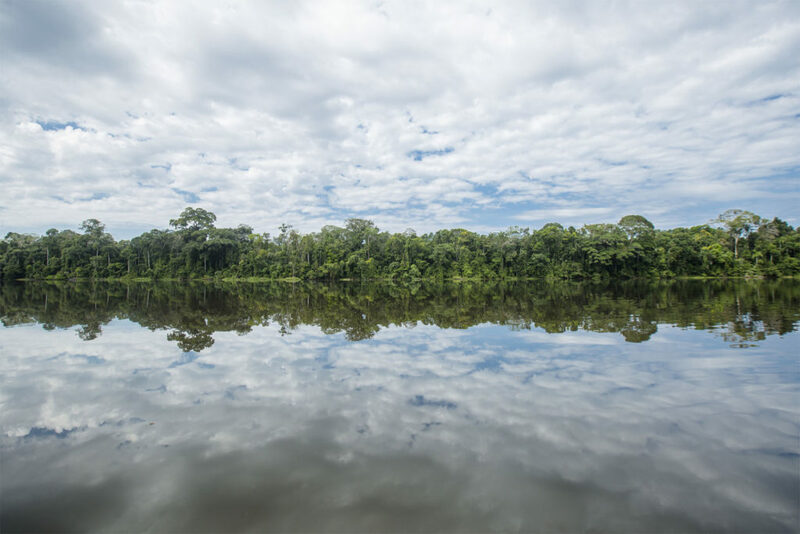 Our Tambopata project in Peru is the flagship project of this initiative. Our hope is that we can grow coalitions in the space of natural climate solutions such as forest conservation with the aim of galvanising a large volume of emissions reductions and major positive benefits. 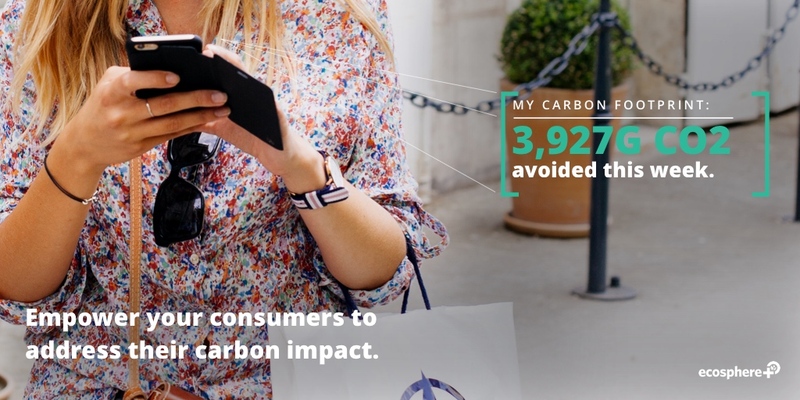 For consumers, every financial transaction has a climate consequence and it is important that they are able to understand the environmental impact of the products and services they are buying and take action. Carbon credits put a price on carbon reductions and therefore represent a clear way in which companies and individuals can be empowered to reduce or offset the unavoidable impact of their choices and be incentivised through a price on carbon. Ecosphere+ has partnered with Poseidon, who is developing a unique blockchain-based platform to transact grams of carbon credits through micro-transactions which allows an effective integration with the retail sector. For the first-time consumers will be able to pay for carbon use along with other products and services at the point of sale and be engaged in climate action and forest protection. We are facilitating and developing the sale of Climate Positive and Climate Regenerative products, through embedding positive environmental and social impact into our customers’ products and services. 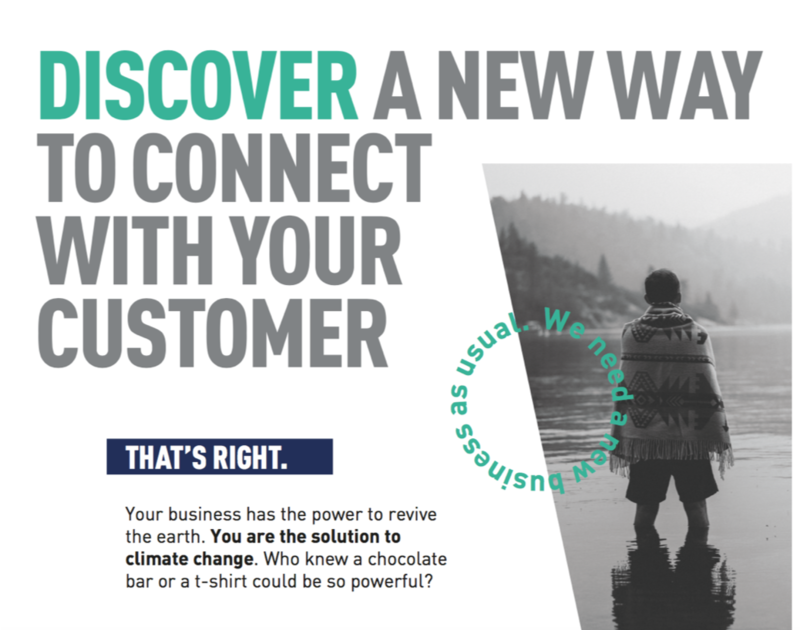 We want businesses to engage and empower their customers in a positive way to take climate action. We help our customers address deforestation in supply-chains, including insetting strategies linked to commodity supply chains which incorporate forest protection, community engagement and long-term resilience. We are active members of the International Platform for Insetting. We work with businesses to incorporate land-use and forestry mitigation measures into corporate climate targets and investor disclosures. We are developing innovative structures for investing in landscapes such as ECO-PPAs, building off the lessons learned from Virtual Power Purchase Agreements or VPPAs which has been a key instrument for financing renewable energy projects worldwide. Our portfolio of forest carbon projects work in the landscape with local people to produce sustainable commodities – both providing a better livelihood for local people and also helping to protect the forest. We offer preferential sourcing of sustainably produced commodities, such as coffee, cocoa and spices, from within REDD+ projects and jurisdictions. The international aviation industry has developed the world’s first carbon offsetting and reduction scheme to cover an entire industry. Our team has been closely following the negotiations and is a strategic partner to a number of engaged organisations. We work with clients to show measurable impact and progress against the Sustainable Development Goals through financing forest protection – a strategic approach to addressing all of the SDGs.